We offer an efficient and affordable weekend training course for individuals and groups who want to rapidly acquire digital video production (filmmaking) skills. 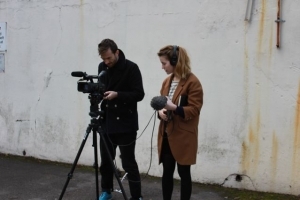 While the course is suitable for anyone who wants to learn how to make their own digital media content, it is particularly useful for journalists who want to expand their skill set and aspiring documentary and independent fllmmakers. 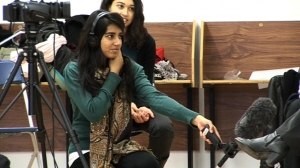 The course strives to provide all participants with a solid foundation of practical knowledge and a working understanding of digital cameras, sound recording, interview techniques, filming on location and industry language. We aim to instil participants with the confidence to use a wide range of equipment and we teach "future proof" principles of filmmaking which remain constant despite changes in technology and formats. We allow a maximum of three people to each camera set up (camera, sound, interviewer), to guarantee that everyone gets hands-on experience. 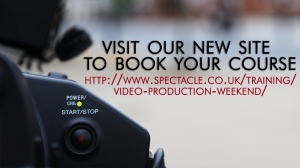 Completing this course will equip you with the skills necessary to apply for a work placement at Spectacle. PLEASE NOTE: due to time constraints this course DOES NOT include post-production, to learn the entire digital filmmaking process from start to finish please take our 4 day course or sign up for our Digital Editing Workshops in addition to the weekend course.